CalCAN’s success is dependent on our strong, collaborative coalition. We rely on a diverse network of growers, agriculture professionals, researchers, agricultural and environmental advocates and other stakeholders who serve as advisors, spokespeople and models to inform and advance our policy work. 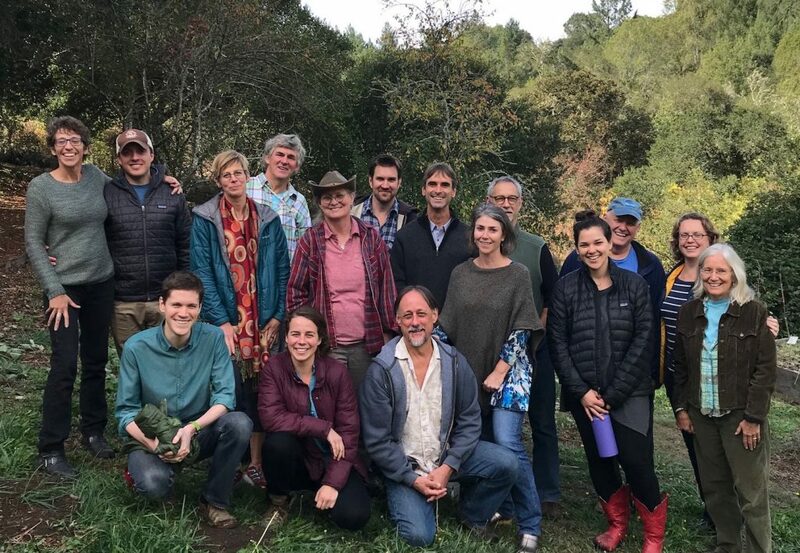 Core to our work are our our seven coalition members and two Advisory Councils, one comprised of farmers and ranchers and the other made up of some of the state’s leading researchers and agricultural professionals working on climate change and agriculture. OAEC is a nonprofit organizing and education center and organic farm in Northern California’s Sonoma County. OAEC seeks to address the challenges of creating democratic communities that are ecologically, economically and culturally sustainable in an increasingly privatized and corporatized economy and culture. CAFF is a non-profit organization that advocates for California’s family farmers and sustainable agriculture. CAFF strives to build a movement of rural and urban people to foster family-scale agriculture that cares for the land, sustains local economies and promotes social justice. EcoFarm nurture healthy, just, and ecologically sustainable farms, food systems, and communities by bringing people together for education, alliance building, advocacy, and celebration. Wild Farm Alliance promotes a healthy, viable agriculture that helps to protect and restore wild nature, and helps farms thrive by working with nature, and supporting farmers’ critical role in reversing biodiversity loss and climate change. CFS is a non-profit public interest and environmental advocacy membership organization established for the purpose of curtailing industrial agricultural production methods that harm human health and the environment, and promoting sustainable alternatives. California FarmLink connects independent farmers and ranchers to the land and financing they need for a sustainable future.